On a light day, I get approximately 22 requests per hour, 24 hours a day, to add spam comments to this site. Sometimes the same IP pops up for spans at a time, sometimes it's from hundreds of different IP addresses throughout the day - most of them likely spoofed. For the last decade, it's been a continuous side project to prevent this from happening with the least amount of intervention by me, without using a third party service, and the least amount of hurdles for somebody to actually make a legitimate comment. To this day, I have yet to nail down a perfect solution, but what I do to prevent it and what I've learned may be somewhat useful to others experimenting with the same problem. Here's an hour snippet of my logs on a typical day, with actual IP addresses masked. I have not gone to great lengths to gather a lot of data about spam comments, but I do gather some data. It became obvious after awhile that the "algorithm" used to post spam comments does change. Every time I put something new in place to prevent spam comments, they will completely stop for awhile. Then, all the sudden they will come back- usually trickle back. This is basically a constant cycle. Letting comment spam through even momentarily makes your website an indefinite target. Here are some examples of what I do, but these measures are constantly changing. When a comment is posted, I check the referer. It must be coming from this website and as an extra check, it must be coming from the right page. I have a blacklist of IP addresses that are not allowed to post comments. The blacklist was initially seeded with all address blocks from China. 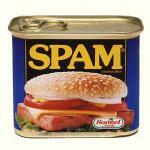 Those IP addresses accounted for 99% of spam comments to this site. I manually add IP addresses to this regularly if I see repeat offenders. Here's the basic functionality to check if an IP address is blacklisted according to the CSV. You could just as well load the CSV into a database. Entering a CAPTCHA code from an image is require to post a comment. I know this works because this alone causes posting comments to fail most of the time. However, it definitely adds a barrier to legitimate comment posters. You could use something like this, but there are many solutions. Surprisingly, this was the latest major update and it worked wonderfully for several months. Not a single spam comment until they figured it out. I limited the number of URL's in a comment to 3. Here's an example for just checking http:// links. The idea of a honeypot field is great and it works really well. I add hidden fields to the comment form and if any of those fields is populated, the comment is rejected. This flag gets hit a lot which means that the comment spam is mostly automated. One idea i've had is to check the amount of time between visiting the page and posting a comment. For example, if that happens within 5 seconds, there's no way a human visited the page, went to the bottom of it, and wrote a comment all within 1 second. Another idea would be to go to a more complex form of CAPTCHA that requires a minimal amount of thinking, but hard for AI. An example question would be: "What country borders the United States to the north?"